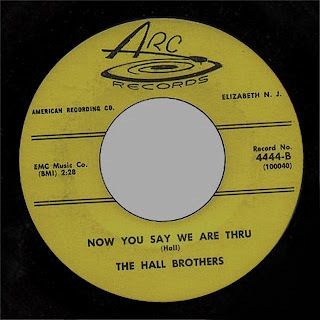 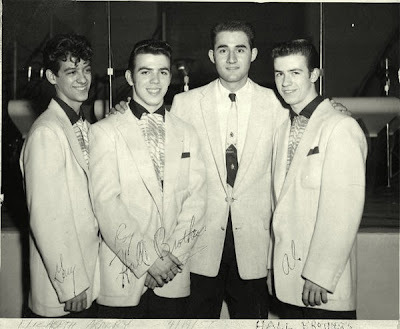 The Hall Brothers circa 1957 left to right; Gary,Roy,(Manager Tom De Cillis) and Albert Hall. 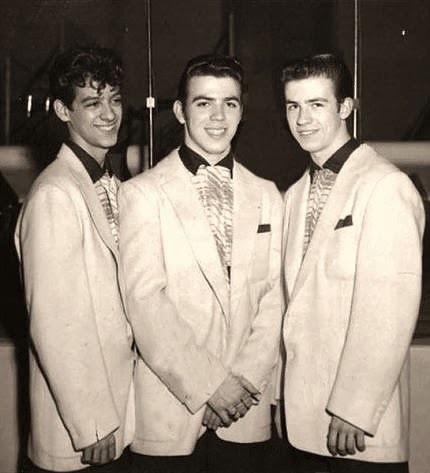 They are from Staten Island and recorded in 1958 for Arc Records_My White Convertible/Now You Say We Are Thru. 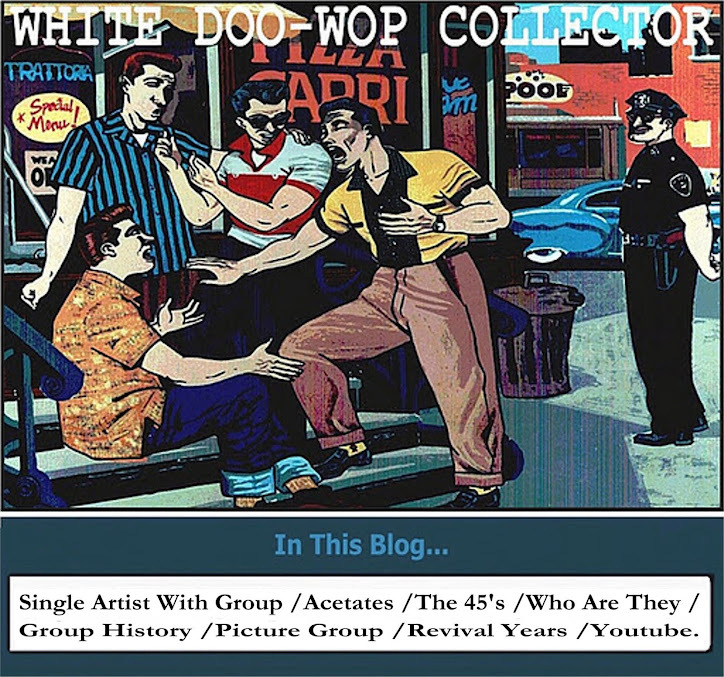 My White...was a mild success on a small label and the boys appeared on TV shows and others. My White Convertible was written about my 1957 white Dodge convertible which we travelled in many times with the Hall Brothers and other artists I managed and/recorded.